Imagine standing on top of the world, at -40 degrees with only 2 meters of ice separating you from seas 4000m deep below. Less people have reached a pole than have climbed Everest. 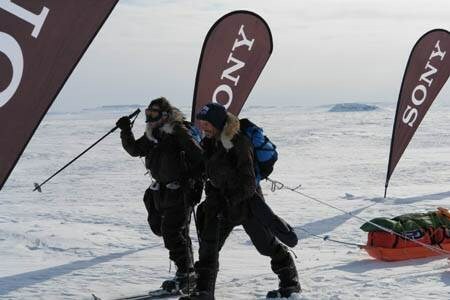 The Sony Polar challenge 2006 is a race to ski over 350 nautical miles across this Arctic landscape towing a 100lb pulk with all your supplies. The Claverdon Lions team completed the challenge in style after 13 grueling days finishing in 5th place against all the odds. As they celebrate with hugs, rest and good food, The Claverdon Lions are reflecting on their incredible journey and their outstanding achievement. Not only have they pushed their own physical and mental boundaries beyond their expectations and discovered life changing revelations about themselves but they have also made a difference to other people’s lives by raising funds and awareness for the Society of Parents of Children with Cancer, a charity close to their hearts. The Claverdon Lions team is made up of Bill Colson, 55 a family man and professional from Wiltshire, Darren Arriss, 36 a Police Officer from Claverdon and Tommy Dalman, 26 an International businessman from Henley-in-Arden. They have been preparing for the challenge for months, pulling tyres, long distance running and weight training in order to make it through the race. They have also learned extraordinary skills for survival, communication, team work and leadership that only a challenge like this can provide. For two weeks they have faced long tiring days with very little sleep in some of the most treacherous conditions the Arctic endures, blizzards, white outs, temperatures as low as -42 degrees and deep snow fall which is highly unusual for this time of year. At times the team were trudging though snow thigh and still managing over 20km in a day. The low visibility makes it difficult to make out contours in the snow causing a few comic and acrobatic falls bringing amusement to the difficult days despite the aches and pains! The Arctic landscape can be relentless, both beautiful and severe at the same time with ice formations towering high and made blue by the sun, the possibility of a hungry Polar Bear behind each one. Stunning sunsets on those evenings without blizzards are breath taking, like no where else in the world, an inspirational sight. Thanks to Sony, teams have the use of cameras to be able to capture all the incredible scenes along the way. The Claverdon Lions will come away with renewed vitally, lust for life, will power they did not know they had and a winning mindset they can share with their friends, families and colleagues back home. How wonderful to know that you can achieve anything if you put your mind to it! On behalf of all those in the Manor of Henley in Arden, I should like to congratulate the Claverdon Lions team on their magnificent achievement in reaching the North Pole on Sunday, 30 April in a very creditable fifth place. They are raising funds for the Society of Parents of Children with Cancer, begun in 1985 by medical staff at Birmingham Children’s Hospital. I am pleased to say that a cheque for £500 from the Court Leet awaits them on their return, most of this coming from a raffle held at the Court Leet Dinner on 6 April. Can you help them towards their target of £10,000? See their web site at www.clavlions.co.uk and find out how you can contribute. Darren sent this message to Henley NEWS On-line on Thursday morning. Myself and Bill finally got off the ice cap in the early hours of this morning after 3 days sat at the finish waiting for a weather window for an aircraft to fly us out. We are currently in Resolute Bay and start our journey home tomorrow. We will be back home with our families by Sunday lunchtime all being well. We really have been on an incredible journey with many highs and many lows, but an immense feeling of acheivement and relief has taken over. Not only has it been physically exhausting but mentally very hard. But so long as you keep picking yourself up and moving on, you will always suceed...! Thank you for all your support leading upto and during the race, we finished as the first team of 2 which is very satisfying with the extra challenge that brought. The donation is fantastic news, we are very grateful. I look forward to speaking with you again on my return, I am keen to share this wonderful expereince with people. At the end of the day 2 average guys from South Warwickshire and Wiltshire have skied/trekked 350 miles to the North Pole. We are very happy. Today has been a day of 2 halves. The first half, we thought we had discovered the only island in the world that had only uphill. Great second half going ok.
Love to Bev and Belinda and say hello to Neil at Henley primary school Class 1. Also love to all the Colsons and a special thankyou to David Allanby at Focus eye clinic without whom I would not be able to navigate with a GPS as badly as I’m doing, it would have been a lot worse! Message from Darren – Hi to all at home, missing you both and all the family Hope Tony got home safely. And yesterday was a terrible day, a big low point but on top form today. Message from Bill – I love you Sue and miss you dearly. I hope George is looking after you I’m sure he is, and tell Sarah I’m looking forward to seeing her latest project. Message for mum - I miss our weekly phone calls. And finally message to all those at the Naomi House I’m thinking of all the fantastic times you have there and look forward to coming and seeing you on my safe return. Yesterday started with the completion 53 miles in 2 days. We hope to the single moment and still daz get to checkpoint 1 on his bday. Since yesterday absolutely birll but by afternoon I was having similar moments by 2130 after 12 hours and 23 miles I finally decided I needed a rest. After having the rest, I decided that we would make checkpoint 1 in an additional day. As a result make things worse today has slower and he is missing his wife Belinda and his daughter tremendously, and he wishes he was at checkpoint 1 reading the emails that have been sent to him. Bill would like to say hi to all his girls and boys I miss you all terribly. With 14 miles left to go we set off in thick fog climbing over broken rubble and pulling our 90kg pulks in the direction of CP1. Behind each iceberg we imagined polar bears but fortunately couldn’t see them. We worked our way up the coast at Helena Island and arrived at CP1 at 1734. Looking forward to 12 hours rest and relaxation enjoying the massage sauna and other spa facilities before moving onto CP2. Daz says Love to Beth and Belinda, missing you all and looking forward to seeing you soon. Bill says Love to all at home, can you tell Mum she can email me and somebody explain how to do it. Love you Sue. Last night our hopes were raised when at 11pm the skies cleared to give us a lovely sunset. We thought today would be blue skies but no such luck. Mist and fog have brought visibility down and the wind has changed direction. All navigation is on the GPS. Our strategy for dealing with a broken ski is 2 hours skiing, 2 hours walking. Upto our thighs in deep snow, but not withstanding that, we’ve had a great day. I would like to give a message to Colin Dowl and tell him I am grateful for the mittens (?) I borrowed from him, I’m even thinking of keeping them. Also a message for father Christmas – please bring a new pair of skis for Daz to check point 2. Thankyou for the messages they are a real lift. Love to Sue, all the kids, Belinda and Beth. We woke up this morning to bright sunshine. The first in 5 days. Fantastic scenery, and for the first half of the day things went well then a curtain of mist came down and visibility became less than 100m. But with Daz’s navigation skills, and Bill’s ingenuity, on watching the skis, we still managed a respectable 15.5 miles, and have only 10.4 nautical miles to CP2. Daz would like to mention for always helping raising ? Kerevis for always raising sponsorship, and Dave Kerevis (?) for the work on the website. He sends his love to Beth and Belinda and all the family, and is looking forward to seeing them next week. 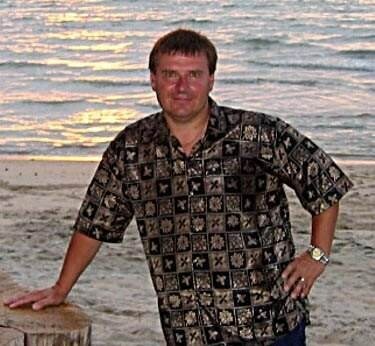 I am looking forward to seeing Sue, I love you darling and the children, can you get Nina to update me on the pipeline. Love to all. This morning when we got up there was some visibility, which disappeared before we started to ski. The result was we did 10 nautical miles in 7 hours 20 minutes and arrived at CP2 just before 4pm in the afternoon. What a perfect day with a perfect end to it. Otherwise we are absolutely brilliant. Still predicting our position which we think is 5th, and we’re looking forward to the last leg. Daz would like to send a special message to the D division of the West Merthier Police Force that he holds dear to his heart and his bank account. And Bill would like to send a new message of thanks to Open Work, hello to Steve, and thanks for looking after the place for me while I’m away. It now looks like we are not going to be back until the first week of May, so any parties arranged might need to be delayed. Daz and I would like to send our love to Belinda, and Bethany, Amy Sarah Livvie and George, and of course to you my darling Sue. Hello to Mum and all the family, we are missing you. With 16 ½ miles to the Magnetic North Pole I am going to sleep well tonight. Daz and I would like to thank all our massive supporters friend and families. I would particularly like to mention David Giles who has helped through thick and thin and of course the support at home. Daz and I send our love to Belinda, Sue and all the family. At 18:20 this afternoon Darren Ariss and Bill Colson arrived at the 1996 Magnetic North Pole. 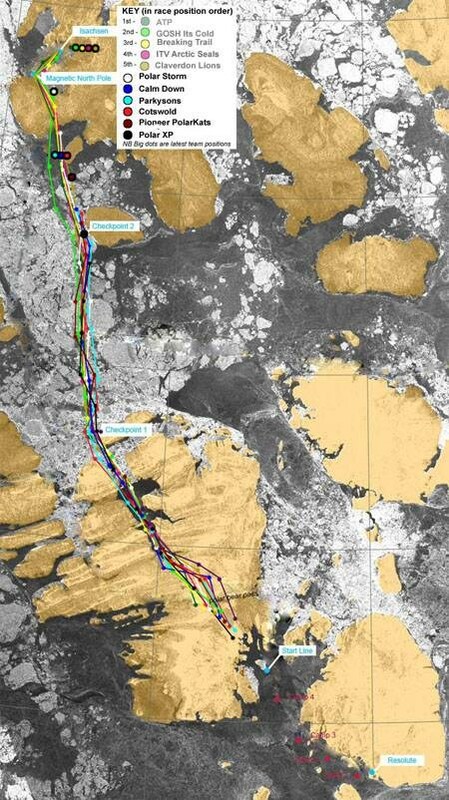 We were absolutely elated with our achievement – over 300 nautical miles travelling on our own over the ice cap. Its been an incredible journey and we have really thought of all our families, and it has really brought home what is important to us. We would like to send our love to our families particularly Belinda Beth, Sue, Sarah, Livvie and George and of course to all the people who have given us such a massive amount of support. Thankyou all from the bottom of our hearts. Darren and I arrived at the finish point yesterday morning. WE were greeted by Hannah and the team, and the other 4 teams that had arrived ahead of us. We were the first team of 2 to finish, 5th overall, and from my personal point of view, being the oldest competitor in the race felt every bit my 51 years. Darren was elated as I was and as we were entertained by Hannah and Deirdre, with tea and toast, other teams erected our tent, before we collapsed exhausted for the afternoon. We are now waiting at the finish for the aeroplane to take us back to Resolute tomorrow and all being well we will be back in the UK soon. We would like to thank all our supporters at home, and in particular send all our love to our families, Belinda and Beth, Sue, Amy Sarah and George, and of course to both our Mums, and our siblings. Look forward to seeing you on our return. The Polling Station is at the Memorial Hall, Station Road and is open from 7 am until 10 pm. 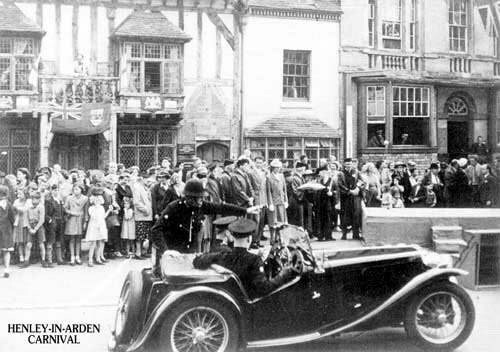 As part of the Guild Hall Garden Project, there will be a tour of the Lord Leycester Hospital, Warwick at 12 noon on Friday, 19 May 2006, conducted by the Master, Lieutenant Colonel Gerald Lesinski. The tour will be followed by a light lunch in the Hospital and there will then be an opportunity to explore the gardens. The gardens were designed by Geoffrey Smith, who has also designed the gardens for the Guild Hall Garden Project and who will be present. Tickets are £15 each (including lunch) and are available from Sue Bridgewater (793633). Is there a 2 tier system in Henley ? Why do some people get information on events in Henley, and others hear about things after the event? 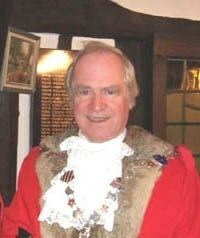 Again I read in Henley News On-line, after the event, about the town cryer announcing the Queens Birthday. This ‘after the event’ news has occurred several times over the past year I have been reading the online news letter. Butter Weighing, Beer Tasting etc. When does it all happen? Following various emails, I feel there is a missed opportunity. Things such as Town Cryer announcements, beer tasting (could be a good one to participate in), butter weighing etc should be advertised BEFORE the event. This would enable anybody who is interested to witness these curious events in our Town. I have 3 children, 2 at primary school and 1 who is too young, these are the people who in 40-50 years should be continuing Henley traditions but they are not getting to see them now. But maybe the issue is bigger than advertising events. Is this missed opportunity a result of the disjointed way the various bodies of Henley publish news. I contacted Henley News On-line which does not get prior knowledge of all events. I also contacted the JPC, who passed on my request to the High Bailiff. But when is the ‘real’ issue going to be addressed? Should we have the JPC, the Town Improvement Committee (TIC), Henley NEWS On-line, et al, all acting independently of each other. Or should we have real independent communication, lead by an independent body such as the TIC or the JPC. In reality, it doesn’t matter which one as long as the result is a ‘coordinated and independent’ approach to news, matters of interest, improvements etc. Henley NEWS On-line proposed the Henley Community Website Initiative in January 06 to the JPC. Unfortunately, to date no response has been received. Read the Henley Community Website Initiative Over 90 readers of Henley NEWS On-line have voted in support of it. 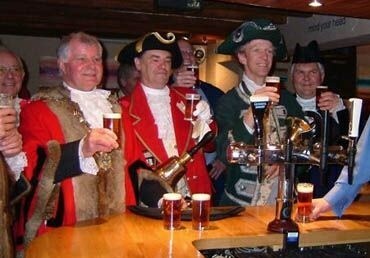 Having been assured by the Ale Tasters that the beer was fit for their consumption, the then High Bailiff (Brian Jackson), the Town Crier (Gordon Trinder), the Town Crier of Bromsgrove and the Reeve of Bromsgrove prepare to drink a toast. The Ale Tasting will be conducted by the Court Leet’s Ale Tasters, Ray Evans and John Dalman. Samples of ale will be demanded for them from each landlord by the High Bailiff. Henley’s officers will be supported in their duties by Ale Tasters from Alcester, Bromsgrove and Warwick. Certificates will be issued to those hostelries whose ale is judged to be fit for the inhabitants of the town to drink. Posters advertising the occasion are being displayed in all of the above hostelries, as they were last year. This is a colourful event and those wishing to see an ancient tradition continued are invited to be present on the night in one or more of the hostelries named above. They will, however, be expected to buy their own beer! A film of the 1932 Henley Carnival is expected to be shown on Central ITV at 6 pm on Sunday 7th May in a feature called "The Way We Were". It is very short, perhaps about 5 minutes, and was taken by William H Williams. He was a Birmingham industrialist who, at the time, owned the Aston Chain & Hook Co., now part of Delta Metal. He lived at Austy Manor with his wife, Louisa Williams, and is shown opening the carnival. If you are very observant, you can see the WW registraion number on the Rolls. The original, with many others, has gone to the Cinema Museum in London for preservation. I feel that I must respond to the letter from Irene Robinson, about THE BENCH. I don't wish ill health, arthritis, bronchitis, or any sort of mobility problems on her, but I do wish she would show some compassion for those less fortunate than herself. I used to be extremely grateful for that bench when I was returning from shopping on the High Street, but having a Mobility Scooter, I no longer need it. However, this doesn't stop me from feeling really angry about it being removed, especially as the reason for it has not got rid of the problem. Only policing will do that. As for her suggestion that a seat in the church yard is available, by the time you have reached it, had a rest & then walked back to the Lane, for someone with health problems, the effort has lost it's benefit. That seat in the Lane has been there longer than a great many residents & is used by visitors & hikers who come to the area, as well as people who live here. Don't the wishes of the of those in need matter, to those who make these High Handed decisions? The unions are right, of course. It is cheaper to sack British car-workers than it would be to get rid of their French counterparts. But that is only half the story behind the closure of Peugeot’s factory at Ryton in Coventry. The real point – and one which the unions have so far refrained from making – is that faced with a choice between shutting a French factory or a British one, which do you suppose the French car-maker would choose? The French are notoriously nationalistic at the best of times. They invented the European Union simply to enhance the prestige and promote the interests of their own country. They are hardly likely to worry about a car plant in Coventry when the alternative would be to shut one in Montbeliard, the company’s home town in Eastern France. Economic nationalism is one of the characteristics of the French. Why sacrifice the jobs of 2,300 compatriots when they could axe a similar number of the old enemy? To be fair, the reasons behind the Ryton closure are reasonably plain. They only make one car there, the 206. It’s coming to the end of its life because a replacement is already on the market. Around the world, too many cars are chasing too few buyers so something had to give. It would cost a small fortune to modernise the Coventry factory to make way for a new production line. And, of course, it is, as the unions quite rightly say, cheaper to make British workers redundant than it would be to axe Frenchmen. In Paris recently they have been adopting the time-honoured French tradition of taking to the streets to protest at the behaviour of their Government over this very issue. The Government, shocked into action by the riots last year among the young, dispossessed immigrant communities around Paris, decided to make it easier to employ people. At the moment it costs a company something like £30,000 to employ someone in France, compared with about £18,000 in this country. Getting rid of them is similarly more expensive. So the Government tried to make it cheaper to hire and fire people. The French middle classes, who all want jobs in the State bureaucracy, were furious. University students who, you might think, should have more faith in their own futures, protested so loudly in defence of jobs for life that the Government backed down. It’s still expensive to hire and fire in France and will stay that way. The inflexible labour market is highly desirable if you are all right, Jacques, and you've got a nice, cushy, well-paid job. It’s hopeless if you are jobless. In this country, we had the most flexible labour market in Europe. It was easy to fire people – but just as easy to hire them. It’s why unemployment fell well below one million. Unfortunately it is becoming more and more expensive to hire and fire in Britain and, as a direct consequence, unemployment is starting to rise again. That’s because people are thinking twice about creating new jobs because it’s proving so expensive. 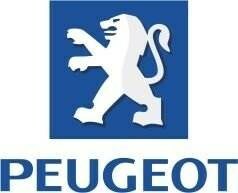 The Peugeot jobs are being lost here to protect jobs in France. But new car-manufacturing jobs will not be created in either country. They will go to Eastern Europe or to the Far East where it is cheaper to employ people and the laws are more flexible. The unions will say this is wrong. They will say it allows for the exploitation of the workers. They will accuse Peugeot and other car-makers of acting like 19th century mill owners. But it’s economic reality. In a global market, companies can up sticks and move wherever they want with the greatest of ease. Today’s job in Coventry is tomorrow’s job in Bangalore. The challenge for our economy is to find new enterprises to replace those which disappear. The slow death of car manufacturing in the West Midlands – Peugeot, MG Rover, even much of Jaguar – does not have to mean the death of the region’s entire economy. Indeed, we survived the loss of MG Rover surprisingly well and at least Peugeot have given us notice rather than simply disappearing overnight. What we need now are entrepreneurs, companies with vision and know-how to create the jobs of tomorrow to replace the disappearing jobs of yesteryear. It’s easier said than done, of course. But we must fight to maintain our reasonably flexible labour laws. Because every time you make it harder to axe a job, you also make it harder to create one. Day of Action Against Rogue Traders! Warwickshire witnessed a ‘Day of Action’ on Wednesday 26th April, as Warwickshire County Council Trading Standards Officers targeted doorstep criminals and rogue traders across the County. ‘Operation Rogue Trader’ saw the Service work in partnership with Warwickshire Police, The Dept. for Work and Pensions, HM Revenue & Customs and local authority benefit fraud officers. The enforcement action taken in Warwickshire was mirrored in many other areas of the Country as officers took to the streets to check out traders working on residents homes. Trading Standards Officers approached 22 traders on the day and found most to be working legitimately. However in a minority of cases some potential criminal offences were identified. Officers were interested in traders carrying out a range of work on the homes of Warwickshire residents, including tarmacing, gardening or roofing jobs. Warwickshire Trading Standards is at the forefront of the battle against doorstep crime in the County and has taken a number of measures to help protect consumers and legitimate businesses, including: responding quickly when ever possible to consumers who have rogue traders on their doorstep; using their powers to stop rogue traders breaching the law; sharing intelligence with partner agencies to identify and target criminal traders; establishing an email system to cascade warnings of rogue trader activities to NEIGHBOURHOOD WATCH groups, Residents Associations and Older People’s Groups etc., and educating consumers about what then can do avoid becoming victims of rogue trader crime. Keeping doors locked at all times. Using a spy hole or security chain to check who is at the door. Our best advice would be that if you don't want to speak to the person, don't open your door to them. It can be hard to distinguish the good traders from the cowboys; it might be easier to keep the door closed. Do not allow uninvited callers into your home. 60 members and prospective members are expected to attend the Business Club's May meeting which will be on Thursday 18th May at Warwick's historic Judges' House, which is part of the court complex. 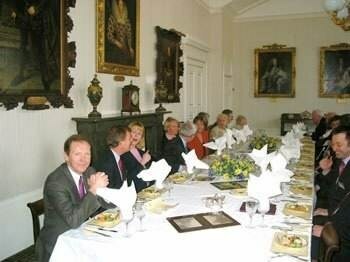 The magnificent Judges' Dinning Room contains many fine portraits including a life size portrait of Henry 8th and Charles 1st. 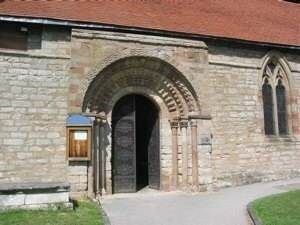 This location is without doubt the finest banqueting hall in Warwickshire and a visit is thoroughly recommended. The picture shows a previous visit. 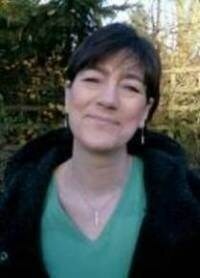 The speaker will be a senior executive from Warwickshire County Council. 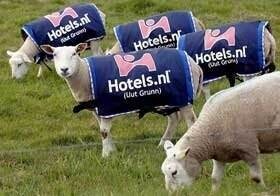 The mayor of a Dutch village has put a stop to a "lease a sheep" programme that would place advertising on the backs of the animals grazing in the fields. "The local law bans advertising at the side of the motorways, no matter whether the advertisement is on a billboard, or on a sheep, or on a dinosaur," said Yde Wierda, a spokesperson for Bert Kuiper, the mayor of the north-western village of Skarsterlan. The mayor has also decided to impose a €1 000 fine on any farmer who rents out his beasts. The head of the Dutch programme accused the mayor of not being impartial with animals. Jozef Mazereeuw noted that horses are allowed to wear coverings with publicity on them. "You have to look at these sheep like footballers, which also wear sponsored T-shirts," he said. Still a British charity that was going to promote a fundraising campaign on the sheep has cancelled its plans. And 12 sheep in the region since late on Monday have been wearing a new sign: "Thank you, Mayor". Watch out for high mileage food and try to aviod it. UK asparagus is coming into season so all the Carbon Dioxide released in flying asparagus from Peru can be prevented. I don't have figures for Carbon Dioxide release for Peruvian asparagus but flying a kilogram of New Zealand produce to the UK releases 11kg of Carbon Dioxide whereas a kilogram of apples that has travelled 35 miles releases only 0.033kg. That is 300 times less polution!! A consumer contacted the service to say that she was doorstepped by a trader offering to sell her some carpet. The trader visited the property twice, speaking independently to her, and her husband. He was offered the carpet at £160 per roll. Her husband agree to buy two rolls and unbeknown to her was taken to his bank by the trader to withdraw the money. The trader then returned later whilst her husband was out and asked her for payment for the carpet as well. He left very quickly after she had paid him, and the couple later discovered that they had paid in total £460 for two rolls of carpet, at least £100 more than they were expecting! The van carried a landline telephone number later found to be unobtainable, and a mobile number that was answered by a woman who claimed to have just purchased the phone from a man in the street. A consumer contacted the service to report losing £13,000 to a car ad scam. The consumer had seen an advertisement in a car magazine for a vehicle priced at £13,000. The consumer contacted the seller who informed him that he had moved to France but would use an Internet based company as a 'middle player' (similar to escrow). The consumer was told that if he transferred the £13,000 to the Spanish bank account of the Internet 'middle player', the money would not be released to the seller until he had received the vehicle. The website appeared genuine and all seemed legitimate so he transferred the £13,000. The first delivery date for the vehicle passed and the consumer contacted the seller. He was told the delay was due to Easter closing. However, when the second date also passed and the vehicle did not arrive, he realised he has been conned and contacted the car magazine direct. The magazine told him that several other people had lost money in similar scams. The website for the scam is no longer functioning. A resident reported receiving several phone calls from a woman who claimed he was not registered with the Telephone Preference Service (TSP). The resident said he was, but the caller was 'insistent' and wanted £12.99 per month to register him. The resident put his phone down several times but she kept phoning back and became aggressive. On each occasion she offered him more and more discounts - first 20% and then 60% (as he was an older person), and then offered the first few months free! It was not clear from the report whether the woman was claiming to represent TPS or another company. Consumers are advised that the Telephone Preference Service is a free service paid for by the Direct Marketing Association. The Telephone Preference Service (TPS) is a central opt out register whereby individuals can register their wish not to receive unsolicited sales and marketing telephone calls. It is a legal requirement that companies do not make such calls to numbers registered on the TPS. The original legislation was introduced in May 1999. It has subsequently been updated and now the relevant legislation is the Privacy and Electronic (EC Directive) Regulations 2003. Residents are warned to beware of a doorstep trader offering fascia work. An elderly female resident reported to her Residents Association that she was approached on her doorstep by a trader who claimed that she needed her fascia doing. She did not agree to have the work done, but it was confirmed later by a member of the association that there was nothing wrong at all with her fascia. A consumer alert recipient reported receiving an offer for a vehicle that he was advertising in a regional car magazine. The car was on sale for£2,300, but the buyer, who contacted the seller by email offered to pay with a cheque for £4,500. He claimed to be based in Israel and asked the seller to send the difference back to him (some £2,200), when the cheque cleared. The buyer also claimed to have a 'problem' with his phone and asked only to be contacted by email. Consumers are warned that this is a common scam whereby the buyer, usually a criminal gang operating from outside the UK, uses a forged or stolen cheque. The cheque initially clears and the seller then relinquishes his vehicle, and sends the difference back to the buyer. However, when the bank discovers that the cheque is bad, they cancel the funds in the sellers account, potentially leaving them out of pocket to the tune of £2,200 and a car.